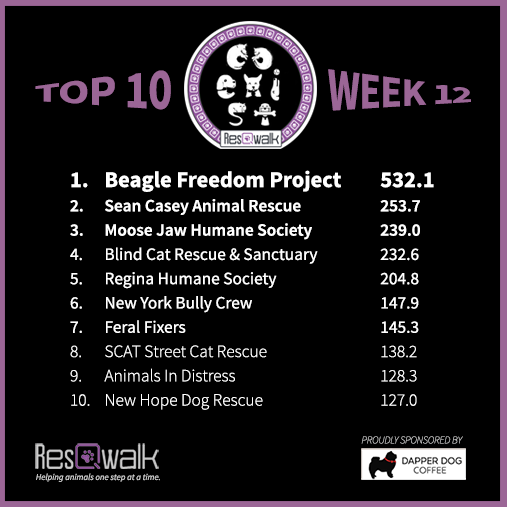 For the past two weeks, Feral Fixers has been ranked in the "Top 10" of the ResQWalk competition. In week 11 of their competition, Feral Fixers ranked 10th and in week 12 of their competition, Feral Fixers ranked 7th (and second overall in the cat category). This has resulted in several donations being sent from ResQWalk to Feral Fixers, including a $50 gift due to our second place finish in the Top Cat Rescue Competition for week 12! Who are these intrepid Feral Fixers dog walkers? Meet Cathi Davis - Feral Fixers friend and volunteer & dog-walker extraordinaire! Cathi single-handedly walked 115.9 miles in the week corresponding to week 12 of their competition! Asked about her accomplishment, Cathi modestly replied: "As luck would have it, I was dog-sitting all last week. Each dog walk route x 3 = lots of miles. We are dog tired!!" 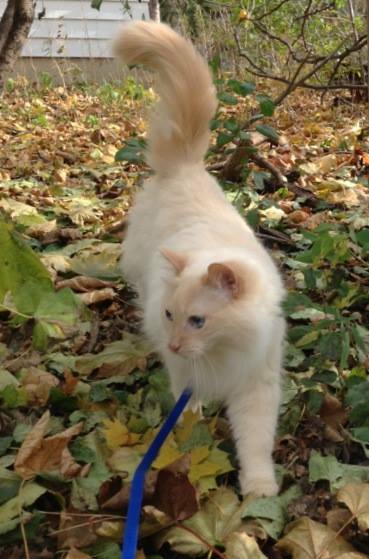 And, in addition to walking all those dogs, she also walks Kimo, her cat, (shown here on a leash - all ready to go). Thank you Cathi - you're an inspiration to us all! Now go out there everyone, register for the ResQWalk app for your iPhone (Android app coming soon) and WALK YOUR DOG!